Australian Military Bank is a provider of credit cards, home loans, personal loans, bank accounts, term deposits, home insurance, car insurance, superannuation, barracks insurance, and investment products exclusively to defence personnel. If you’re considering getting a credit card from the Australian Military Bank, check out our comparison table below to see what’s available for Low Rate credit cards, based on a monthly spend of $2,000. At the time of writing, Australian Military Bank has one credit card on offer – its Low Rate Visa Credit Card. We explain the features and benefits of this card below. If you’re looking for a low rate credit card, then take a look at what’s available in the table below, based on a monthly spend of $2,000. Australian Military Bank is open to the public, so you don’t have to be a member of the armed forces or navy in order to apply. When you begin the application, you will be given a reference number that you’ll need for later on in the process. Your details will be sent securely to a member of its online service team. If you want to complete your application at a later date, you can save your progress at any time. If you don’t want to apply online, then you can either call the Australian Military Bank on 1300 13 23 28 (open Mon-Sat), or you can visit the nearest branch to speak to someone in person. How do I activate my Australian Military Bank credit card? You will need to activate your card when it arrives before you can use it. You can do this on the website through the application process, by calling the number on the back of the card, or with the mobile banking app. Can I manage my Australian Military Bank credit card online? You can manage your Australian Military Bank credit card using online banking or their mobile app. You will need a registered member number and an access code. Use online banking or mobile banking to do things like activate your card, view your recent transaction history, view your balance, and more. How is interest calculated on my Australian Military Bank credit card? The cash advance interest rate is charged on cash advances from the date of withdrawal. Any balance transfer amount will be charged the balance transfer rate until the promotional period ends, at which point the amount will be charged the applicable interest rate. Up to 55 interest-free days apply to Australian Military Bank’s Low Rate Visa card, and these interest-free days apply when you have paid the balance in full for the previous month as well as the current month’s statement. Related Article: How Do Interest-Free Days Work On Credit Cards? What will my credit limit be on my Australian Military Bank credit card? Your credit limit on an Australian Military Bank credit card will be determined by the information you provided during your application; it is the amount you have been approved to spend on your credit card. You can apply to have your credit limit changed by calling Australian Military Bank on 1300 13 23 28. How do I close my Australian Military Bank credit card account? You can close your Australian Military Bank credit card at any time by contacting them on 1300 13 23 28. Your card balance will need to be repaid in full even after the card is closed, and you will continue to receive monthly statements until your card balance is fully repaid. If you are experiencing financial hardship, contact the Australian Military Bank Hardship Assistance team on 1800 855 810 to get help in making repayments. Australian Military Bank – formerly known as the Australian Defence Credit Union (ADCU) and other names over the years – was founded as the Navy Co-op Ltd in 1959. It aims to help Australian Defence personnel and their families make the most of their money, but it is also open to the general public to join. Since its inception, Australian Military Bank has grown to have over 50,000 members, with over $1.1 billion in funds under management, more than 30 physical branches across Australia, and 3,400 ATMs. As well as offering value in home loans, car loans, and savings accounts, Australian Military Bank’s Low Rate Visa credit card has a history of winning industry recognition. Its accomplishments include being awarded a 5-star rating for outstanding value from Canstar in 2016 and 2014. Australian Military Bank is active in the Defence Force community, offering jobs in banking to members of the local Defence community, and having branches in major Defence bases across Australia. To keep up-to-date with Australian Military Bank, Like them on Facebook or follow them on Instagram. The Star Ratings in this table were awarded in the most recent ratings season. The search results do not include all providers and may not compare all features relevant to you. 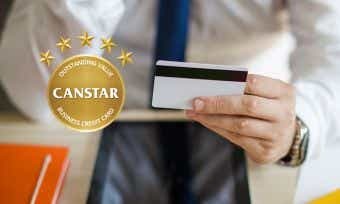 View the Canstar Star Ratings or Award Methodology and Report for the product you are considering. The rating shown is only one factor to take into account when considering products.